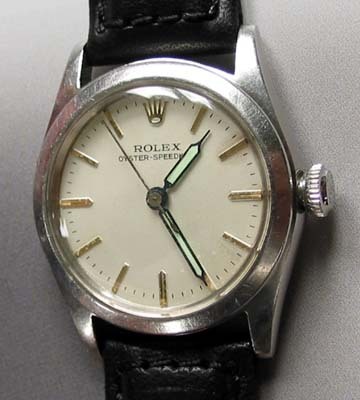 Vintage Boy size Rolex Oyster watch from the 1940’s. 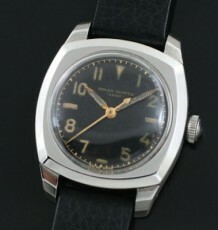 Very nice original watch with an extra clean dial. 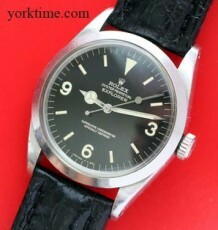 The watch was just serviced and the Rolex manual wind 10 1/2 hunter movement is keeping excellent time. 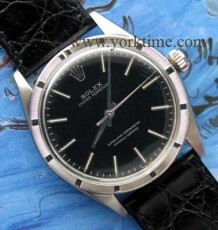 The Rolex ref 4220 case is in very good condition and the original Rolex oyster patent crown still tightens down securely to the case tube. These Boy sized Oysters are highly sought after by collectors and Rolex fans alike as they are extremely durable and their popularity with WW II pilots was instrumental in establishing the Rolex brand mystique in the 1940’s. 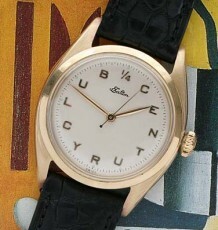 The watch measures 30mm wide by 36mm long and is supplied on a brand new Italian leather strap.